"At our big “Table d’hôte” we serve breakfast, snacks and diner. At diner we propose a single menu and a kitchen of quality local ingredients. 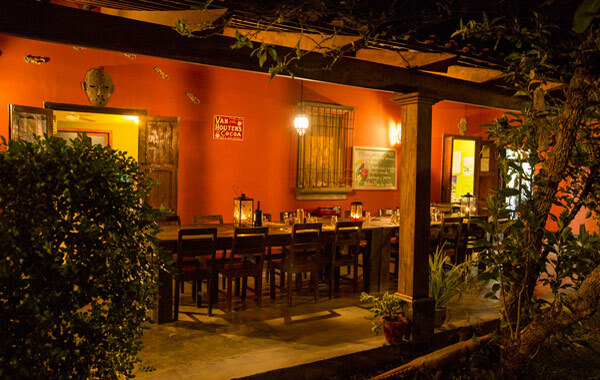 The meals are serve at our big family table or table d’hôte and are a fusion between the Costarican and European kitchen prepared by the women of the local village of Curubande. Lunch: Snacks or Lunchbox to go.